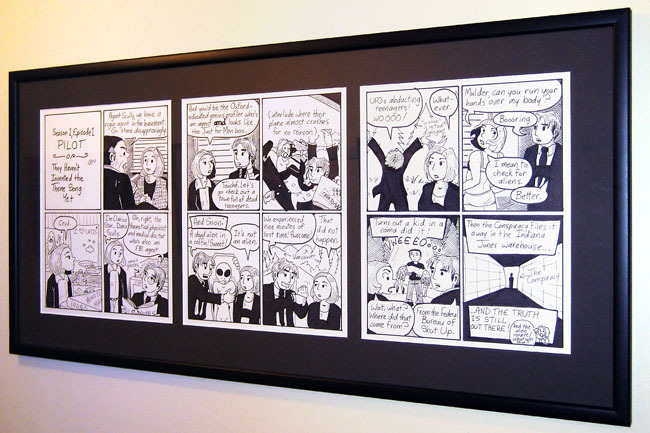 Keen-eyed readers will note that the original art for MoW strips is for sale. David Morgan-Mar, who is usually busy making all the webcomics that aren’t made by me, snapped up the very first episode. And here it is, all framed and everything. Look how stunning! So all of these are split into three 4×4 comics? I really want so many of these! I can make that dream come true. Then allow me to put my money yadda yadda yadda. Payment inbound.